Blogging serves a ton of important purposes in your law firm’s internet marketing strategies. It allows you to connect with potential clients. It highlights your areas of specialization and focus. It provides your existing and future clients with important information about the ways in which you can represent them, as well as on the legal issues surrounding their situation. Finally, it serves the purpose of search engine optimization. Of course, your blog is only helpful if people read it. In order to get the most out of your blog SEO, you need to optimize for Google, which means understanding how its algorithms work. Original content is essential, as well as using multimedia like video and audio clips. 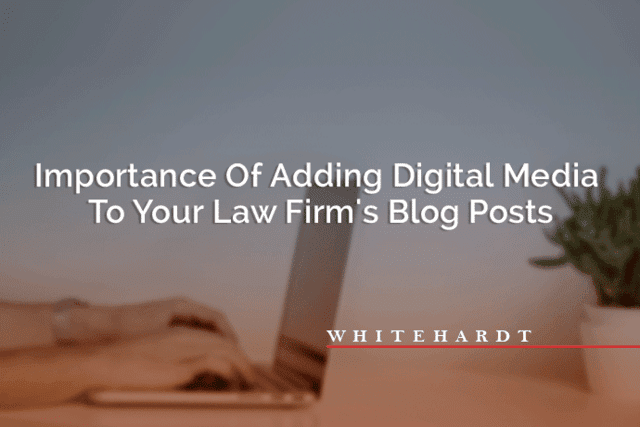 Learn about using digital media on law firm blog posts to improve SEO results and increase the effectiveness of your marketing and communications. Using digital media on your law firm blog will serve many useful purposes. First, it improves the end user experience, which will create more repeat visits. This alone will help to boost your SEO rankings. Second, it helps to get you noticed via Google’s algorithm by varying the kinds of content you offer. The more varied the media you use, the better off you are. However, you’ll want to be sure that you use good content. Simply dumping a bunch of random videos on your site won’t improve search rankings. 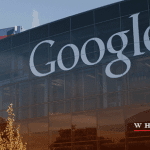 In fact, it will be counterproductive because it won’t serve your clients, and Google’s algorithm has ways of spotting attempts to pad websites. Your content has to be original. That means that it must not be a copy of the content that’s available on other sites, which can be tricky for those who lack the ability to produce original media content. The more duplicate content your site has, the lower it tends to rank. You’ll want to be absolutely certain that your content is indeed yours and unique. That said, many YouTube videos do allow for embedding on websites, and while these are technically duplicate content, they can still help to improve your post engagement. If the video you use increases engagement enough, it will offset the effects of it being a duplicate. In addition, embedding a Google video link back to the YouTube source, so often it won’t be flagged as a duplicate, but as an external link, which creates a helpful SEO chain. This is quite helpful, especially for those who don’t have the resources to store media locally. YouTube allows you to create your own multimedia channel at no cost. You can upload your videos to YouTube, and then embed them back to your website at the click of a button. It’s fast, easy and effective. You can even include clickable links to other areas of your website within your YouTube videos. This further increases the interactivity of your multimedia, and it will bring even more potential clients to your doorstep. Your videos might be viewed on YouTube first; having links within them will guide people directly to the blog post where you’ve embedded the video. The same goes for audio content; podcasts, in particular, are very popular. Consider recording a weekly podcast and making it available via your site. It can complement your blogs, or it can be a completely separate offering. Just make it full of solid, entertaining content. A really good video also has the potential to go viral. If it’s exceptionally interesting or useful, people will share it all over the web. While this counts as duplicating the video, it also creates a massive web of links directly back to your website and your YouTube channel. This potentially brings millions of people to your business in a short time, and it’s a very inexpensive investment overall. A viral video is worth its weight in gold. Images are part and parcel of a great blog post. They break up “walls of text,” which can cause people to glaze past without reading. When you include eye-catching images, it snaps your readers back to attention and keeps them focused on the ideas you’re presenting. This is very important, though: always be sure you have the right to use the images you put in your blog. It cannot be understated. Using images to which you do not have the right can lead to all manner of troubles, as any attorney should know. Either create your own images by taking photos yourself, or sign up for a royalty-free image source which allows licensed use of pictures. If you’d like more information on incorporating multimedia into your site or using digital media on law firm blog posts, Whitehardt is here to help. Get in touch with us to get started today!